Since it's opening in April 2018 Loose has been offering a range of basic provisions, personal care and household items. 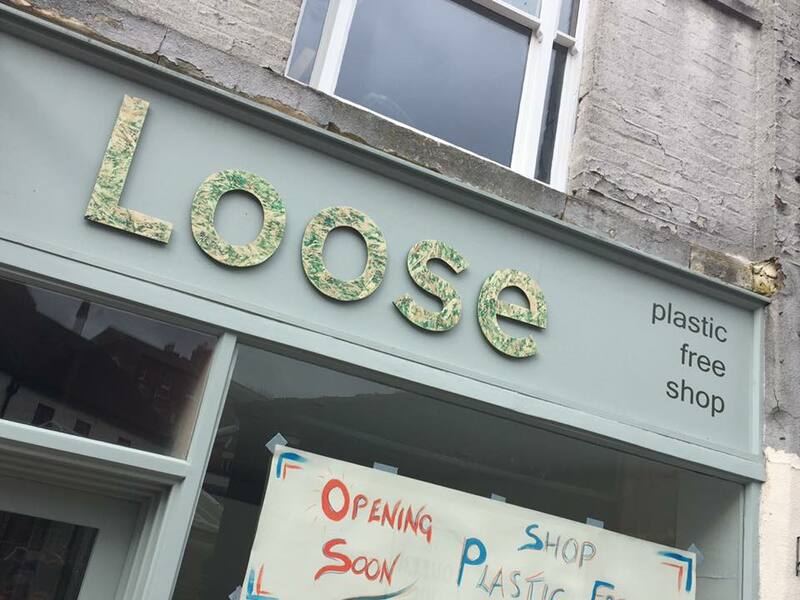 As we all work together to reduce our dependence on plastic, Loose can help you make small but significant changes to your daily shopping habits: a chance to shop without the unwanted and often unnecessary plastic packaging which can be difficult to avoid elsewhere. Bring along your containers (including plastic) and let us fill them for you, with a selection of well priced, healthy and delicious, grains, pulses, seeds & nuts, dried fruit, loose tea & coffee, oils & vinegar, plus some unexpected goodies such as whole cacao beans and chocolate buttons. All our 'loose' produce is ORGANIC, other items are Fair-trade or ethically sourced. Upcycled packaging is available should you forget to bring your own. Gloucester Street houses some of Stroud's great independent retailers, and whilst a little off the main drag it is well worth a visit, with vintage clothing, vinyl records, upholstery services, florists and hairdressing, plus of course Fat Toni's pizzas. SORRY EVERYONE, WE HAVE DECIDED TO CLOSE TODAY (THURSDAY 19TH) AND ARE OFF TO SUPPORT THE LONDON REBELS. WE WILL RE-OPEN AFTER EASTER ON TUESDAY 22 APRIL.